Yokohama Geolandar AT G015 is ready for the road. These tires contain some of the features you have come to expect from the Yokohama brand, as well as a few extras. You can enjoy triple 3D sipes which change shape as the tread wears down to offer you absolute premium wear and tread grip throughout the long (60,000 miles limited warranty) lifespan of the tire. The 3D sipes also provide maximum stability and shape for the tread blocks. 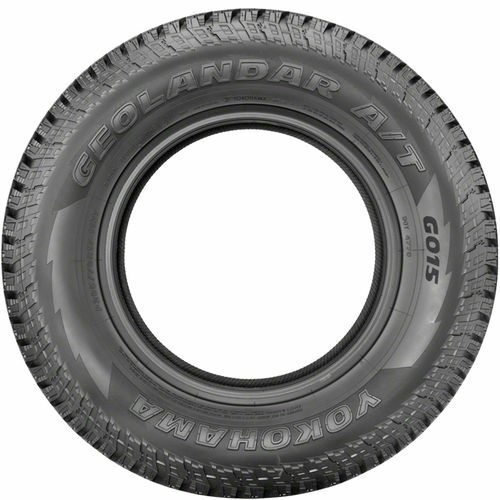 The Yokohama Geolandar AT G015 is designed for trucks, SUVs, crossovers, and severe snow service. All terrain tires with extra bite are what Yokohama Geolandar series provides for those who love to drive. Durability, comfort, and handling are given the highest ratings by consumers who use these tires. Whether your adventures take you on the highway, the gravel roads, or places where you are making your own roads, the Yokohama Geolandar AT G015 will help you get there in comfort and style. Off-roading fun is easy when you have the incredible grip and traction which is designed into the Geolandar AT G015. 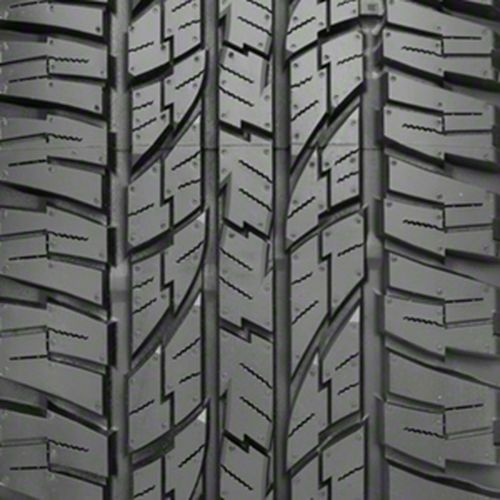 All season traction is standard with these tires. EdgeTec grooves push away dirt, mud, water and snow keeping your grip solid on whatever roadway nature provides you. The Enduro Compound keeps your tires pliable through warm and cooler temperatures so that you can experience optimal braking and handling in wet and snow conditions. 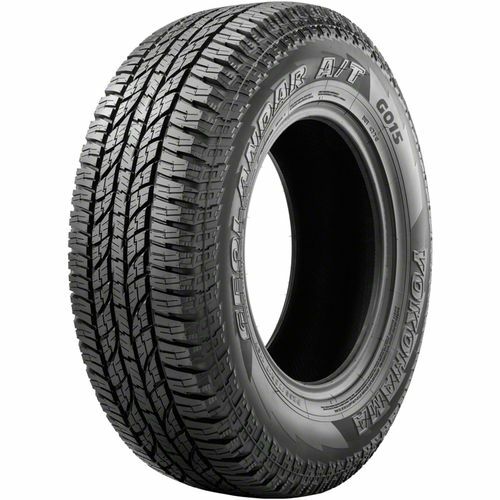 LT245/70R-17 N/A 0 lbs 0 psi 0/32nds N/A 0" N/A 0"
Purchase includes the Yokohama Geolandar AT G015 tire only. The wheel rim shown in the picture is not included. Picture provided is a stock picture from the manufacturer and may or may not reflect the actual product being ordered. 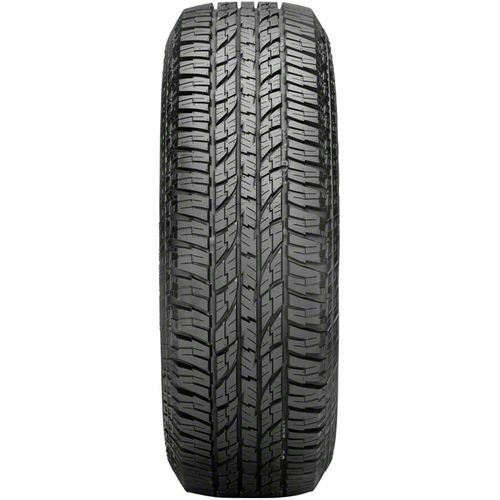 All Yokohama Geolandar AT G015 tires are continuously developing with manufactured improvements. With that said, Simple Tire and the manufacturers have the right to change these tire specifications at any time without notice or obligation. Please Note: Specifications of the Yokohama Geolandar AT G015 tires shown above are listed to be as accurate as possible based on the information provided to us by Yokohama tires. I have put about 10,000 miles on these tires so far and I am really impressed. I have driven in all kinds of conditions on and off road in sand, snow, ice, rocks, wet pavement, and dry pavement and the traction has been great in all of them. They do seem to be wearing a bit faster than I would like but I could be better about checking the air pressure and rotating the tires. I highly recommend these tires. By submitting a review, each person received a sweepstakes entry.